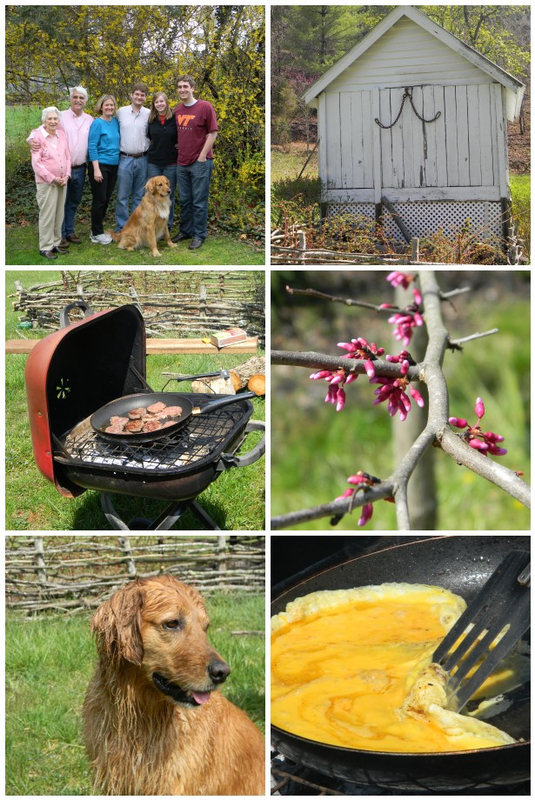 We recently visited Gardner’s family to celebrate some big birthdays – while there, we went out to their farm. The power was out because of a big storm the night before – so we improvised and cooked brunch on the grill. Fabulous idea, right? Spring was in bloom and the pup was very happy. 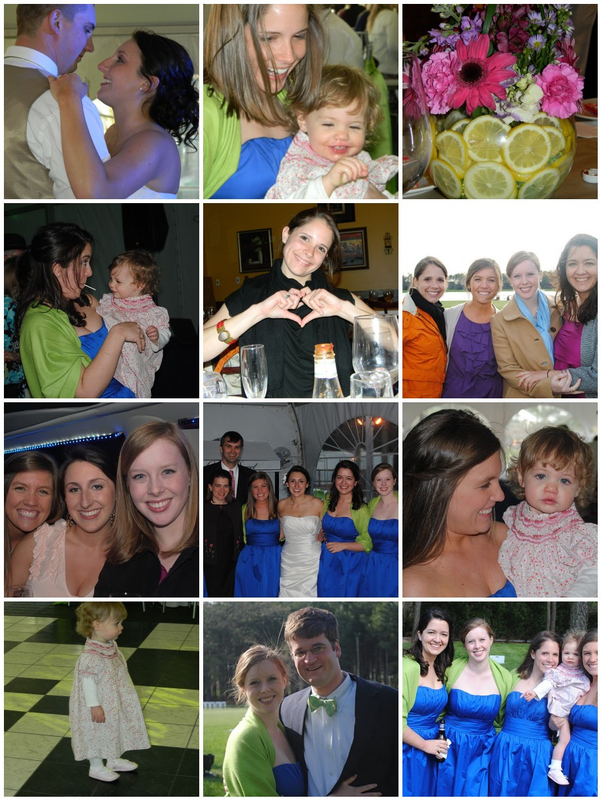 We drove down to North Carolina for a special wedding – my friend from high school, Sarah, married her best friend. It was a wedding and a reunion in the same weekend…and it was a blast. And when we’re not traveling, we’ve been on the porch. The days are getting longer and the weather has been wonderful. 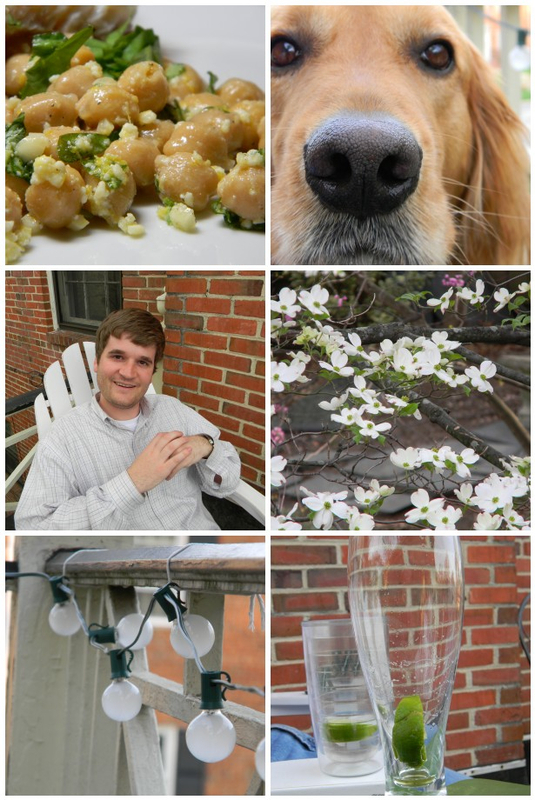 We’ve been experimenting with things like chickpeas and I’ve enjoyed taking pictures of everything from the dogwoods to our cute pup to our empty glasses. We hope you’re enjoying spring, too!